We interrupt the regularly scheduled program to bring you something far more important. While we may still be weeks away from Halloween, behind the scenes, many people are already in full swing with preparations for the upcoming Christmas holidays. 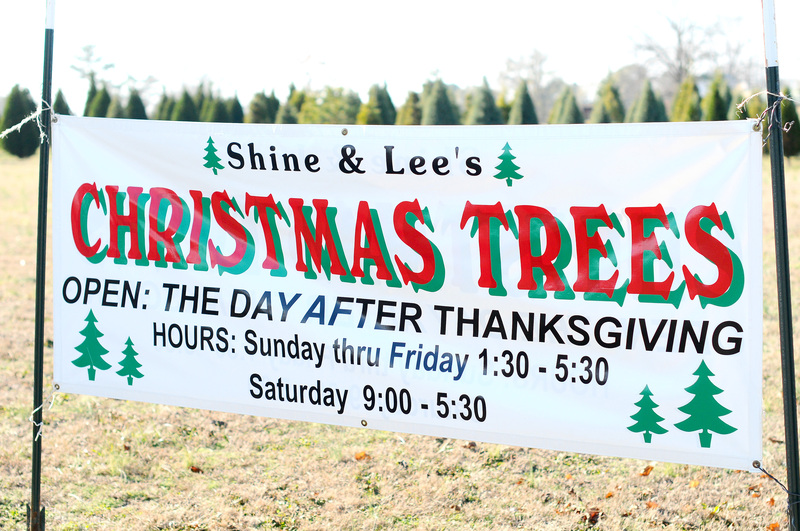 These people include my parents, whose Christmas tree farm, Shine and Lee’s Christmas Trees, will open for its third year the day after Thanksgiving. They have been busy shaping trees, finishing up some last minute projects, and getting some details taken care of on the business end, which includes a brand spankin’ new website built by none other than my very talented hubby. Yes, the time has come once again that I need to do a little boasting on Adam. He has been working around the clock for the past few weeks building their new website from the ground up. And finally, after going through a few different styles and layouts, doing a ton of editing, and tweaking, and tweaking….and tweaking…… Shineandleeschristmastrees.com went live just this week! This is the first website he has ever built, but you would never have known that if I hadn’t just told you. Click on over there and check it out! And if you happen to make it over to the About Us page, you can watch a short little video (written and voiced by yours truly) that tells a bit about how the farm came into being. AND, if you live in or around Newberry, SC, head on over to Shine and Lee’s Christmas Trees this year, and say “hi” to my mom and dad. 3 Responses to "It’s Beginning To Look A Lot Like Christmas… At Least On The Internet"
It is always great to have a very supportive and loving wife, especially when trying to buid a website from the ground up! Thanks, Anita! I wish they were near here, too. We live too far apart for us to get out Christmas tree from them, but my Mom always ships me one of her gorgeous wreaths. They hold their smell FOREVER.